Their research has shown that people on SAD diets experience symptoms which they think are indicative of a desire for more fuel, but which are really just their body seeking more drug stimulus. What Does True Hunger Feel Like? Quiz Time: Which of the following are indications that you're hungry and your body wants food? Although you'll commonly hear all of the above associated with hunger, they in fact have nothing to do with it. These are all symptoms of detoxification and withdrawal, or are unconnected emotional or bodily processes we people like to hide from with food. When we're eating a healthy raw food diet and an appropriate amount of food, these symptoms disappear in about a week and are replaced by what hunger is in reality. So what does true hunger feel like? There are generally three sensations that reliably let you know that you're truly hungry. A feeling between the throat and upper chest (not the stomach!). It is not at all unpleasant, but certainly lets you know that it's time to chow down. An increase in the amount of saliva released in your mouth. 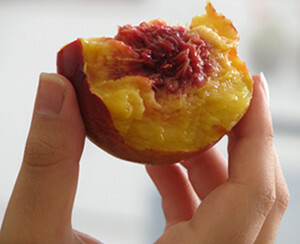 If you stop, close your eyes, and imagine biting into into a ripe, juicy peach in significant detail you will often experience a squirt of saliva being released from the thought alone. A heightened sense of taste. Personally, I consider the first to be the most reliable indicator of hunger, and the most easily noticeable. True hunger isn't something that stops you dead in your tracks or makes it hard for you to function. As long as you've taken in enough calories to operate your body, you can easily keep going, despite a bit of hunger. When healthy eaters feel hungry, it's just the body casually telling you, "Hey, at some point, when you get around to it, you might want to put some fruit in your mouth." Why Do We Develop Food Addictions? Our addiction to food stems for several areas. First, we're eating food that is blatantly unhealthy, laden with fat, chemical taste stimulators, and other ingredients that no food in human history has contained before. 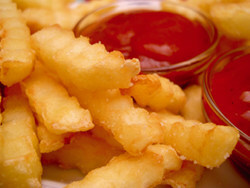 Recent research has connected these fatty, processed, and cooked foods - the mainstays of the SAD diet - with heroin-like addictive properties. One experiment followed rats fed human junk food. Because of the drug-like effect of the foods most Westerners eat, people often find themselves locked in a vicious cycle of eating unhealthy food to fight off the withdrawal symptoms from their previous consumption. This almost always leads to overeating. Just as the drug addict needs more and more of their drug to fight off cravings and get the same high, so too does a person suffering from food addiction need ever-increasing amounts of food. One question researchers have wrestled with is why obese individuals have fewer dopamine receptors, which causes them to feel less pleasure per unit of food consumed (3). It turns out that just as drug users have their brains' dopamine receptors down regulated over time, the same happens when we eat more food than we actually need (4). 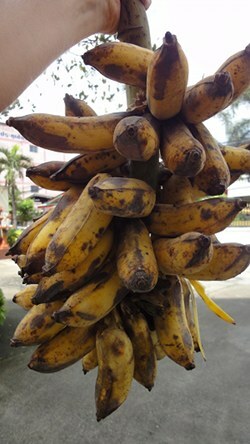 So the more we overeat, the greater the reduction in our ability to feel satiated by an appropriate amount of food (5). Want To Lose Weight And Escape Food Addiction On A Raw Food Diet? Awhile back I had an overweight man ask for my help in losing weight, but he cautioned me that he couldn't stand to be to be the slightest bit hungry. After digging into this a bit, I discovered that the what he really didn't like were the emotions that came floating the surface when he wasn't digesting heavy food. Digestion is an energy-intensive process (ever feel sleepy after a big, dense, or fatty meal? ), and when it stops inbetween meals we have more free energy to deal with emotional issues. Long-suppresed feelings of inadequacy and shame were not things this client was happy to have coming up, so he quickly buried them again with more food. Of course, he wasn't losing any weight in this manner. The raw diet I put him on, which consisted of very quick-to-digest fruits and vegetables and very little fat, had him shedding pounds quickly, but it took him a long time to grapple with the emotions that the change unlocked. Periodically he just couldn't take these emotions and he'd go on a a numbing fatty food binge to suppress them again. Emotions are a tricky issue that he had to deal with in his own way and in his own time, and no one-size-fits-all advice is going to cut it. But in all cases, actually feeling the full brunt of our emotions, looking them in the eye, and dealing with how they make us feel is a freeing experience that leaves us better off than we were. Running from them with the help of Doritos and fried chicken won't lead you where you want to go. Humans eat themselves into addiction and extra pounds via poor food choices, but if they make a clean break and a sustained effort, they don't have to suffer for long. After an initial period of withdrawal symptoms, participants in one plant-based- diet study based around whole foods found their new diets mitigated or eliminated the unpleasant aspects of hunger even though they were taking in considerably fewer calories than they had been before. Hunger was described as a not-unpleasant sensation, and occurred less frequently, even when meals were skipped (2). In my experience working with coaching clients, a surprising amount tell me that they start off with only a vague understanding of what real hunger is, or how they should react to their stomach being empty. I certainly didn't know what true hunger was when I started improving my diet. Soon after adopting a low fat raw food diet that's free of processed foods, though, they quickly start to get a handle on things, and the overeating tends to stop. Some, like the man I mentioned above, have some emotional issues to work through. But when you simply allow those emotions to come up, you find ways to deal with them. 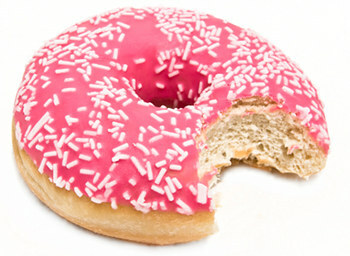 One key is the complete avoidance from the processed foods that made you addicted in the first place. "Moderation in all things," doesn't work when it comes to food. Just like an alcoholic can't just have a sip of of alcohol, a food addict can't just eat a few Doritos without starting the whole negative spiral all over again. So make a clean break, choose to eat only healthy food, and thrive like never before. And just what, you ask, should you do if you're still having cravings or other problems? Check out my article on cravings control to learn more. Find out why low fat raw vegan diets are the way to go. 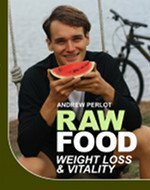 Lose weight, overcome food addiction, and thrive like never before with Raw Food Weight Loss And Vitality. 1) Johnson, P. Dopamine D2 receptors in addiction-like reward dysfunction and compulsive eating in obese rats. Nature Neuroscience. Vol 13. 2010. Pgs 635-641. 2) Fuhrman J, Sarter B, Glaser D, Acocella S. Changing perceptions of hunger on a high nutrient density diet. Nutr J. 2010 Nov 7;9(1):51. 3) Taylor VH, Curtis CM, Davis C: The obesity epidemic: the role of addiction. CMAJ 2010;182:327-328. 4) Gearhardt AN, Yokum S, Orr PT, et al: Neural correlates of food addiction. Arch Gen Psychiatry 2011;68:808-816. 5) Stice E, Yokum S, Blum K, et al: Weight gain is associated with reduced striatal response to palatable food. J Neurosci 2010;30:13105-13109.